Simultaneous with the HDS3 plant, the DEA2 and RD4 plants were revamped, to improve production yield and plant operation. 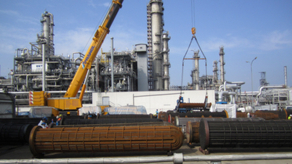 The engineers of Pörner Group from Leipzig and Vienna provided complex EPCM services for the revamp of both plants and finalized the projects within the OMV turnaround on-schedule. One after the other: On April 29, 2016, the revamped DEA2 and RD4 plants complying with the legal regulations were handed over by Thomas Rieder, the Pörner project manager, for the OMV operation on schedule. Within the project of modernization DEA2 plant and parts of RD4 plant, the engineers from both locations, Vienna and Leipzig were responsible for the engineering, procurement of equipment, construction supervision and inspection as well as expediting. In the DEA2 plant, from regenerated DGA (di-glycol amine) and the liquefied gas from the RD4 and NHT plant (NHT = naphtha hydro treater) purified liquefied gas (LPG = liquid petroleum gas) is produced. The separated hydrogen sulfide in the plant is further processed in the Claus plant to elemental sulfur. In 2012 the engineers from EDL / Pörner already finalized a FEED for modernizing the DEA2 plant within the RD4 program of which has now been implemented. The aim of the project was to improve product yield and plant operation. For this the column, pre-filter and water separation filter were replaced and an additional fresh amine cooler in DEA2 plant and additional control valves in the steam lines were installed. In October 2015 the construction work for the foundations for the new column as well as for the steel structures and other equipment was started. On 03/29/2016 all pre-TAR work was completed on schedule. "It is a nice feeling to experience how everything fits together, how everyone can rely on each other and how years of planning merge into one day. All work during the stop period, such as integration into the existing plant, the connection of the measuring and control systems in the new devices was made according to plan. That is how we were also able to hand over these two plants to OMV on the scheduled date." 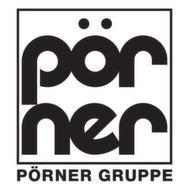 says Pörner overall project manager Thomas Rieder.